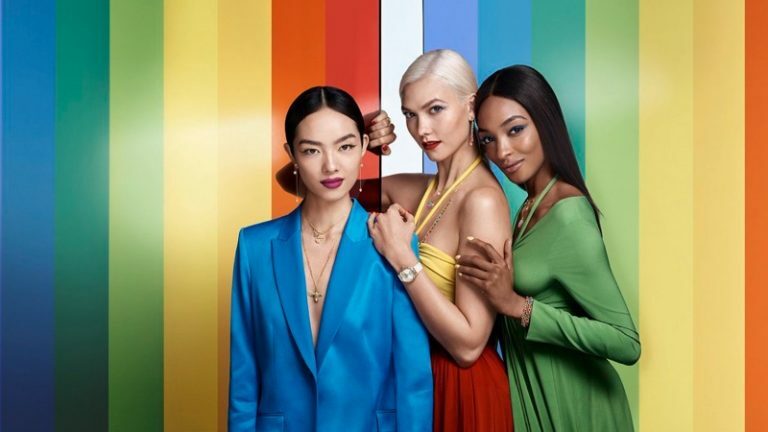 American supermodel Karlie Kloss continues her association with jewellery label Swarovski, and stars in its Spring/Summer 2018 Campaign. The 'Kode With Klossy' star is a dazzling vision as she poses amidst a backdrop of rainbow hues and butterfly accents. Karlie joins models Jourdan Dunn and Fei Fei Sun for the awe-inspiring shots, and the trio models vivid gems on natural insect motifs. Styled with dreamy dresses and a beachy-waves hairdo, the models stand out for the Swarovski shoot and stun in the luxe gems.